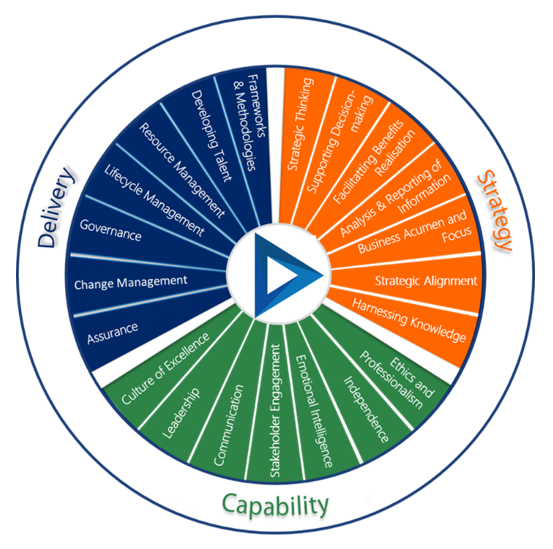 Those of you with a keen eye will have noticed that the Wellingtone PMO Competence Framework is balanced across the three PMO Domains: Strategy, Delivery, and Capability, and yet there are some key PMO functions that are not mentioned such as risk and issue management. Why? As always with us, there is a story behind it. 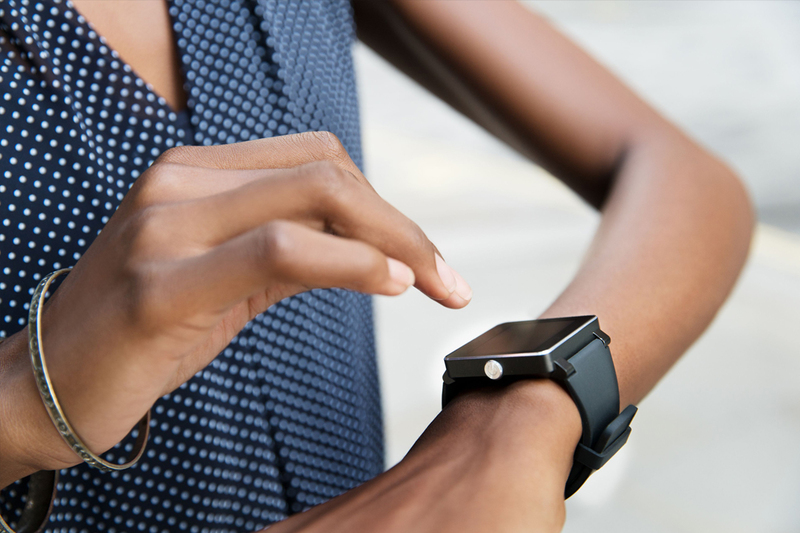 In my opinion most fitness tracking devices are lacking because they record progress against goals by focusing on one part of the individuals’ life; calories in, calories out through diet, exercise and weight. Some are a little fancier and track sleep patterns, and pulse amongst other things. The problem with even these fancy ones is that they come back again to the same metric; calories in, calories out. It is a well-documented fact that sleep patterns are affected by what we eat. How we metabolise food is a key driver so our diet and food choices either help to regulate our circadian rhythm (our 24 hour cycle) or they alter it affecting how well we sleep. So, calories in, calories out tend to affect this reading. Pulse is affected all the time by what we eat and drink (how much caffeine have you had today?) so depending on the lifestyle choices we make, this reading can also be attributed in part to (yep, you guessed it); calories in, calories out. I won’t bore you with the rest I’m sure you get the idea. Both personally and professionally I don’t believe that focusing on one of the mechanics that makes things happen should define the person. In fact, even in my little world of PMO I strive for ‘total wellness’. Professionally through taking time to develop my skills (the mechanics), whilst at the same time ensuring that I am continuously refining the aspects of emotional intelligence that enable me to be my best professional self. If we look at competency and maturity frameworks (let’s go back to 2006 and J. Kent Crawfords’ Project Management Maturity Model (Auerbach Publications), PMO is mentioned as a ‘special interest component’ to Project integration Management. And Human Resource Management is one of the knowledge areas too. Before this model evolved into Project Portfolio Maturity Management Model, it included elements in both of these knowledge areas around professional development, mentoring, training others but also (importantly) training oneself. Back to my fitness tracker. Going to be honest, not a fan of the ‘standard’ ones out there. Because I am fairly competitive (with myself, not at Trivial Pursuit with other people), I found myself focusing on the areas my tracker at the time (effectively) gave me gold stars for; calories in through diet, and calories out through exercise. However, I found myself occasionally getting mildly stressed because of it too, what WOULD happen if I didn’t do my steps for the day, can I wear it on a night out even though it matches NONE of my clothes, but I’ll be dancing?! So (because I do what I do) I completed some research and found something out there – a fitness tracker that didn’t care about calories. Their vision is all about balance. You’re a grown up, eat what you like and don’t compromise – for them it’s all about Life Balance. This fitness tracker is designed for women (sorry guys) and is truly feelgood jewellery. It comes in many designs and colours and can be worn three different ways. Whatever, not important. The tracker records activity, water intake, reproductive health, sleep patterns, meditation, and stress. The first five are the drivers for the stress indicator – this works by discovering causal patterns through lifestyle habits and is able to predicts which parameters cause higher sensitivity to stress. They double up the feelgood factor by adding a meditation layer that enables users to reflect on themselves and their lives and overall reducing sensitivity to stressful situations. When designing the PMO Competence Framework, it was important that we don’t just focus on the mechanics of successful project delivery; but on the individuals total wellness. We’ve all been pushed to the limit by competency assessments in 1-2-1 meetings that don’t take into account the person and we wanted to change that for PMO people. We are so much more then planners! Total wellness for PMO people is ensuring a balance between the Delivery (adaptiveness and mechanics that support a successful outcome), Strategy (foresight and business skills), and Capability (behaviours and leadership skills). Achieving this balance provides the individual with an opportunity to progress across all areas of their professional and personal persona and enables them to find their best self. In the world of today, it is more important than ever for our people to feel empowered and safe. Imagine a world where we are motivated across this spectrum rather than how good we happen to be at one aspect of delivery. Don’t get me wrong I am a Risk Practitioner myself, the mechanics are vital to a successful PMO, so we have embedded them all into the delivery competencies. But it’s time we take a step back and look at the whole, our delivery skills, how we interact with our context, and our aspirations. You can get a taster session at FuturePMO on 4th Oct, as I’ll be taking you through the PMO Competence Framework and giving everyone at my session a taster so you know where to focus. You can learn more about the Wellingtone PMO Competence Framework HERE or contact us directly.